We wanted to take a moment on this snow bound Super Bowl Sunday to plug two Hennacornoeliday recommended shows. Both are Shakespeare fueled creations with one (Lions in Illyria) an original adaptation and the other (Short Shakespeare! Macbeth) an abridged production. Both are also incredibly well done and cost just a bit more than going to the movies. Robert Kauzlaric’s “Lions in Illyria” is a very clever, very well thought out adaptation of Twelfth Night. The animal characters, colorful costumes, and silly dance moves were enough to entertain our five year old niece/cousin. Her seven year old sister also had a good time and was, per her father, able to follow at least 50% of the action. Henna simply loved this show. She loved its Shakespearian roots. She also loved the basic story line with its emphasis on love and friendship. Mostly though she loved hanging out with her cousins. The production is intelligent enough to engage adults and is probably best appreciated by children aged 7 to 12 although I think younger kids will still have a good time. For an extra $5 a kid Lifeline Theatre offers a fun drama workshop in between the 11 A.M. and 1 P.M. performances and everyone is encouraged to meet with the actors after the show is over. Henna also loved Short Shakespeare! Macbeth. Macbeth is bloody good fun and features the coolest witches this side of Oz (if you are ever in a bad mood, try saying “Double double toil and trouble; fire burn and cauldron bubble” a few times; trust me it will put you in a better place). Be warned though that is not for everyone. Besides the usual murder and mayhem, there is also a touch of infanticide (done off stage but this still might be a bit shocking to your kid). This is the Chicago Shakespeare Theater so the overall production values and the level of talent on stage is pretty amazing. The fight choreography (Matt Hawkins) and make up/wig design (Melissa Veal) are especially well done. There is a question and answer session after the show with the actors mingling in the lobby afterwards. Probably best for persons ten and older (and by older I mean up to 110). 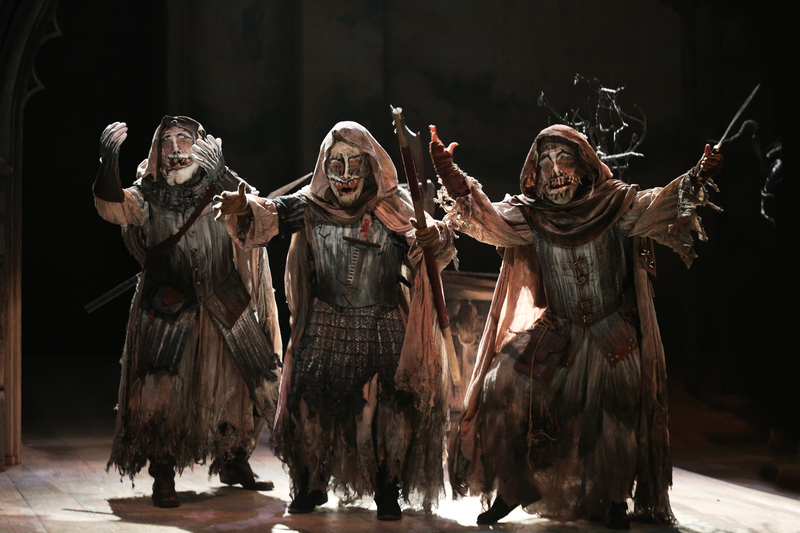 Macbeth is playing at Navy Pier from now through February 14 on Saturdays at 11 A.M. or 2 P.M. Tickets are $16 to $20 with group discounts available. To purchase tickets, call (312) 595-5600 or go to chicagoshakes.com. Parking is validated, but it is still going to cost you about $15. 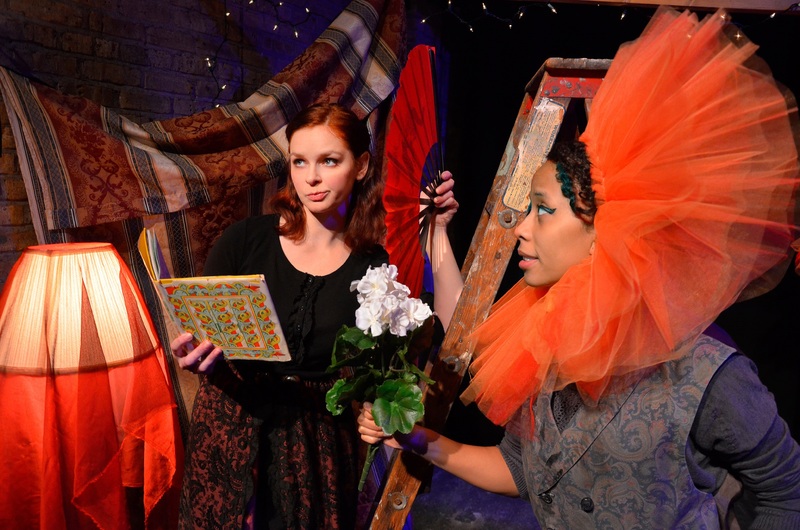 Lions in Illyria is in the heart of Rogers Park (Lifeline Theatre at 6912 N. Glenwood). Tickets are $15 with performances every Saturday and Sunday at 11 A.M. and 1 P.M. through February 15th. For more information or to purchase tickets click here or call (773) 761-4477. Street parking is usually not a problem. 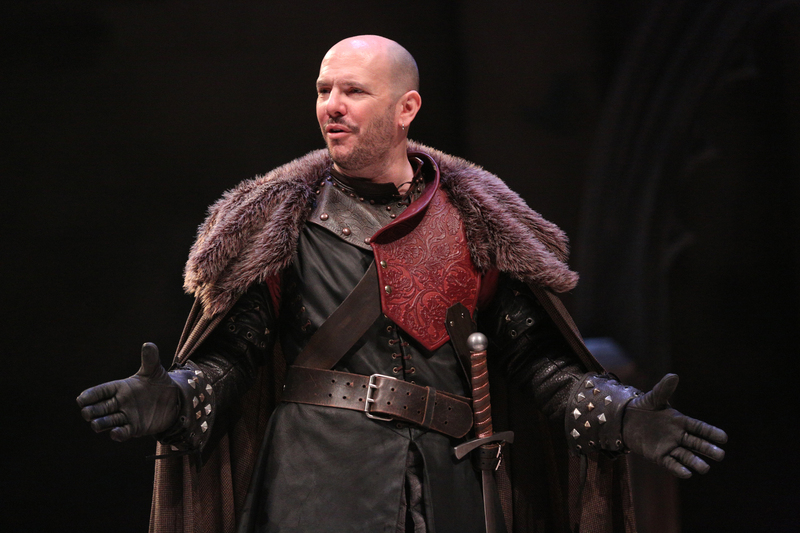 For a more detailed review of both shows click here for Lions in Illyria and here for Macbeth. This entry was posted in Chicago, weekend idea and tagged Chicago Shakespeare Theater, Lions in Illyria, Macbeth by hennacornoelidays. Bookmark the permalink.